Many EV owners charge at home over night. It’s great having a fuel station at your home and leaving each day with a full ‘tank’ and for a lot of us it means we rarely if ever need to use another charger. Other drivers use public CPs occasionally whilst driving further afield on one-off trips while another group take their EV on long daily commutes where the use of a public charger is required just to get them home. Whatever your use case, a good public charging network is a vital part of EV ownership, whether it’s merely a metaphorical safety net, an absolute necessity or anything in between. While we’re always keen to promote the huge positives of EV ownership, with the increase in failure rates and longer down times it’s clear there’s something going on with the public charging network that needs investigating. 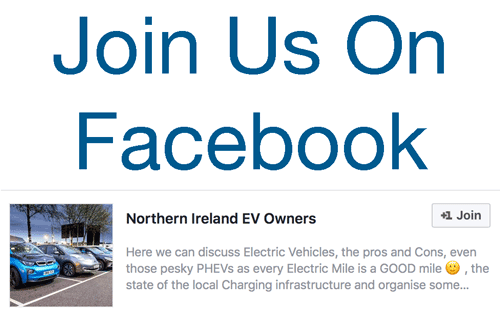 To get a clearer picture of what’s happening we contacted ESB who operate the network to put some questions to them submitted from the NIEVO Twitter and Facebook Group, plus the Irish EV Owners Association. The questions fell broadly into three groups. Can you explain if ESB own the charger network in Ireland, North and South – or if not when they will? How does this part of the group operate? Does ESB see the ecars network as a strategic core public service? ESB began its involvement in ecarNI in 2011 when we were asked to lend our expertise to the Plugged in Places (PiP) Consortium led by DRD, DoE, Northern Irish Borough Councils, Donnelly Motor Group and NIE. The Consortium successfully secured funding for the initial roll out of charging infrastructure in Northern Ireland from the Office for Low Emission Vehicles (OLEV). ESB’s contribution was technical expertise in engineering and marketing and branding as well as actively participating in governance and Consortium Board membership. NIE Networks for its part, provided engineering expertise and were responsible for the installation of all charging infrastructure in Northern Ireland. The charging assets remain the property of NIE Networks. The result of this collaboration was the creation of one of the UK’s first and most advanced EV charging networks consisting of 9 rapid chargers and 160 22kWh AC chargers. Since then, ESB has worked with DRD NI (now DfI) and other stakeholders to secure additional European funding. For example, under the Green Electric Highways and the Rapid Charge Point Network projects we were able to expand the rapid point charge point network with a further 8 rapid chargers. The benefits of this approach for Northern Ireland (NI) EV Drivers include full interoperability with the charging network in Republic of Ireland (RoI), allowing customers to drive anywhere on the Island and use all 1,200 chargers. In addition, we are able to deploy any of the upgrades and improvement we introduce in RoI to enhance the service in Northern Ireland such as the provision of a free 24/7 dedicated contact centre. NIE Networks is a subsidiary of ESB Group which owns and operates the Electricity Transmission and Distribution network in Northern Ireland. ESB ecars, part of ESB Group’s Innovation business unit, manages the ecarNI system on behalf of NIE. However, it is also important to note that ecarNI receives no regulatory support from NI electricity customers or taxpayers – ESB is currently covering all running costs from its own funds. As an energy utility with 90 years’ experience, ESB Group has a core objective to provide the best possible service to all its customers. In the case of ecarNI, that means that safety and reliability are our top priority. ESB have to be commended on the initial rollout, especially considering that most are at least 22kW capable and the public are in a fortunate position in Ireland, both North and South, in that a single card access is available, this is certainly better than the UK for instance. However this positive capability is definitely being eroded by the service levels achieved at chargers. Is this issue specific types of chargers? Is it customer misuse?, design problems? Specific charger type issues? What are the main issues you face? The first EV chargers were delivered in 2011 following a tender process run by ESB ecars and the PiP Consortium, it was a conscious decision to have the same chargers with the same specification in both jurisdictions. There is no doubt that some of the chargers perform better than others because they are better constructed. In some cases the charger manufacturers give better service and support to our engineering team. Many of the chargers sourced initially were from charger manufacturers (including start-ups) that are no longer involved in this business; some have poor levels of aftersales service resulting in difficulties getting them to respond to requests for help with resolving issues. A complex ecosystem is required to operate the service (for example, mobile telecommunications can be an issue in some geographical areas). When this network fails, it can impact the charge point’s ability to communicate with the Charge Point Management System (CPMS). At an industry level, there have been issues with co-ordination between charge point manufacturers and the car manufacturers which has impacted the network’s reliability, (for example, car manufacturers sometimes update the in-car software without consultation with the charge point OEMs). There have been issues with host sites as you are aware. For example, the Mellon County Hotel, Omagh charger could not be accessed due to circumstances outside our control. This charger is now fully operational. In some cases there has been misuse by customers particularly where cables are not stored back on the chargers and dropped on the ground. Last year we replaced several cables which had been damaged in this way. There have been incidents of vandalism where we have had to remove chargers from a safety perspective. In such cases we would seek to find new locations but this is not always possible. We replaced the charger at Belleek. Do you have SLA targets and if so what is the expected uptime of each charge point? How does this compare to the actual uptime so far in 2017? What’s your CP failure rate and why are so many currently out-of-order? Why is it taking so long to repair chargers – in some cases months? As noted above, we are often subject to the co-operation of the charger manufacturers in many cases to repair chargers that cannot be repaired by our own in house team of engineers or the service and maintenance contractors. This has caused delays, although we now have remote software access to the majority of AC 22kWh chargers which will improve our ability to diagnose issues and speed up their repair. Can you authorise ecars helpdesk to update the ecars network map in real time? We discussed your suggestions regarding the real time map with the ICT and Infrastructure team. The map is normally updated in real time taking information from the CPMS which uses a 15 minute “heartbeat” to indicate that the charge point is communicating and operational. 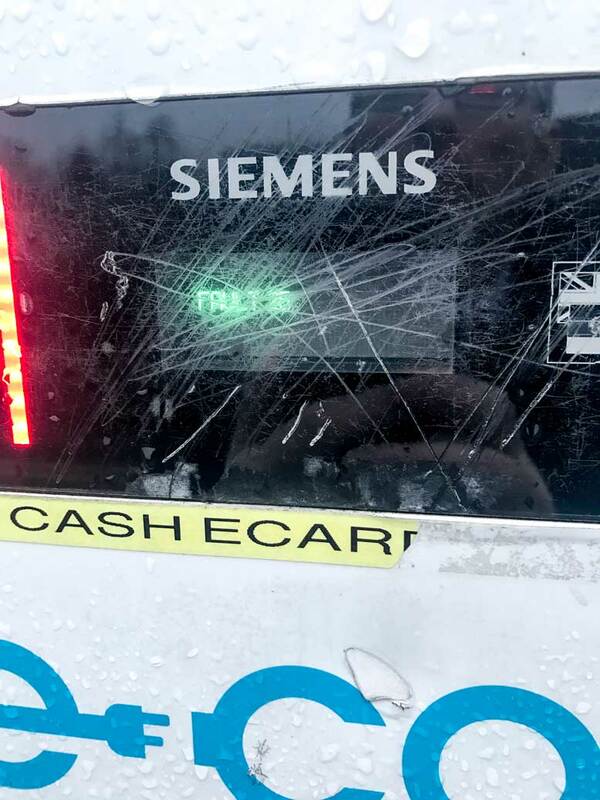 However, if the fault is electromechanical (for example a broken cable connectors) the CPMS does not recognise this fault therefore we are unaware of such issues until a driver tries to use the charger. In this case, the map is updated centrally by our ESB Customer Operations team to reflect such issues as they arise. We are always looking to find ways to improve both the timeliness and accuracy of the map and welcome customer input on this. Some chargers have disappeared, Dublin Road for instance, is this a temporary situation or permanent? In the specific case of the charger on Dublin Road, Belfast, it was vandalised and had to be removed for safety reasons. Safety of the public is our top priority. Our policy to date has been where vandalism has occurred, to locate an alternative site, provided the unit can be repaired. Is there a third party contract for maintenance? Last September we awarded the contract for service and maintenance to GMC Utilities, a major civil and electrical contractor operating in both NI and ROI. They are able to provide full coverage across both jurisdictions, providing better cover for Priority1 incidents including being stuck at a charger or a rapid charger issue. In NI, the engineer worked for the previous incumbent is now working for GMC, as such he has the most knowledge and experience working in this area. Have you consulted with any EV owners and if so what have they learned and changed as a result of this? We welcome customer feedback and EV Drivers’ perspectives and we communicate regularly with our customers through various channels including newsletters, Facebook, 24/7 call centre and mailbox. In addition, we have conducted a number of surveys including in NI and we endeavour to act on this feedback. For example, customer feedback informed our decision making in terms of rolling out more rapid chargers than standard chargers which was our original intention based on EU data. We meet regularly with the EV owners group in RoI and hope to do the same with NIEVO as a representative group. Some EV Drivers recently took part in trialling the real time functionality of the app, which is now fully operational. What remains to be done on the roll out? At this point in time, we do not have active plans to expand the network, it is adequately sized to serve the number of vehicles both NI and RoI. We currently have 1,200 charge points to serve circa 4,000 EVs on the island of Ireland. Our focus is on enhancing the quality of the service provided by the current network. However, we know from our back office management system that there are a number of chargers in both jurisdictions are not used at all or are used very infrequently. We are undertaking a study of these chargers to see where they might be better deployed to busier locations. The current perceived public charger crisis in Ireland, North and South is putting off potential EV buyers (and some existing drivers). Does ESB agree they have an important responsibility to help promote EVs? ESB ecars in conjunction with DRD NI previously ran a number of promotional advertising campaigns to encourage and promote EV uptake. We remain committed to promoting EVs to the public and are taking part in a number of forums to do this throughout 2017. We issue newsletters, manage the ecarNI website, mail box and Facebook Page and provide updates on advancements on electric vehicles. Although we fully acknowledge there are issues with the current network which affect EV drivers’ experience we are constantly seeking to ensure the highest possible rate of uptime. ESB receives no funding to promote the uptake of EVs in Northern Ireland. Can you share your roadmap for future expansion and investment in the charger network? Will there be more destination chargers? Higher kW rapids to meet demands of next generation of EVs? Rollout of CCS fast charging on major routes etc? Potential destination charger locations in the future as there are probably sufficient numbers on inter-urban, motorway sites at this point. Does the group have particular sites in mind which would serve sufficient numbers of EV drivers to warrant installation? We are keeping abreast of future charging capabilities in terms of higher power chargers to ensure we are fully informed of what is available in the market. Additions to CCS infrastructure would be preferable in order to increase coverage. Over time we intend to replace current CHAdeMO only chargers with multi-standard chargers including CCS. Similar to the standard chargers we would need to undertake a full Official Journal of the European Communities (OJEU) tender to purchase multi-standard chargers which will take as explained approximately 5 months to complete. Where will the money come from to invest in the network? Public money or a Payment scheme? Over the longer term re-Investment in the network will need to be derived from revenues generated from fees in the future as ESB do not have access to public funds to invest in the charger network. What are your plans regarding starting to require payment to use chargers then? As mentioned above we will seek to commercialise the charger network. However, this will be notified well in advance to EV drivers. We will advise and consult with all the relevant stakeholders in NI and ROI of our plans in this regard. Our readers don’t mind paying a fair price, but do ESB agree, in order to promote use, costs should be considerably lower than petrol or diesel per mile? From prior studies and recent comments from EV drivers, it is apparent to ESB that the Total Cost of Ownership (and not purely the cost of the “fuel” for the vehicle) is the most important economic factor in deciding whether to purchase an EV. Discussion with EV owners should help advise on payment options, i.e. per kWh, time based, additional payments if remaining on charger post completion. Our experience suggests EV owners are very willing to pay appropriately. We would appreciate customer insights into payment options and propositions when the time arises for ESB to plan the introduction of fees. We understand from EV drivers that overstaying chargers is a problem and payment would more than likely eliminate this issue. The overall service needs to be considered in terms of what is provided, it is not simply kWh energy supplied. The entire service includes investment, charge point management systems (CPMS), service and maintenance, 24/7 call centre services, engineering expertise, communications and customer operations plus energy consumed. Misuse is a big problem. Are ESB considering implementing rules or penalties such as tow away for cars parked illegally, parking fees, additional costs for overstaying post completion? ESB has no power to tow away cars for illegally parking or any other violation of EV charging infrastructure in terms of ICEing, overstaying by EV drivers etc. Parking enforcement is solely the remit of the local authorities. Good behaviour of EV drivers can be encouraged by other EV drivers. We will be happy to include good etiquette in our newsletter, website and can post to FB to encourage this? Any plans to leave clearer instructions and warnings at each charging station? What kind of instructions would you suggest we should use? Do you mean in terms of not overstaying at charge point and / or other undesirable behaviours? Most chargers have signs erected already stating EV parking only. Unfortunately not all local authorities apply the same rules or charges for parking so each sign would be different and the cost of such signage would be very high. We have no current plans to link directly with the ‘chargebump’ app, whereas we understand how useful it could be in improving access to high usage chargers, we would need to be sure we are not breaching our remit. We will pass the query onto our ICT team to investigate further, thanks for the tip. Many thanks for answering our questions ESB. We look forward to welcoming you to our next NIEVO meeting. 2 Comments on "Exclusive Interview: ESB on the Public Charging Network in Ireland"
Good to see ESB engage with the grassroots EV community and for us to get some direct feedback. Plenty of open ended points to generate further discussion but hopefully this level of engagement will continue to the benefit of all stakeholders. DRD handed responsibility for EV parking issues, over to locals council’s as I’m sure you are aware of in April2015. Sean Rogers, the then SDLP ,MLA for S.Down wrote to me informing me that the council had replied , and to say that “Nothing would be decided on parking, until all eleven council’s met and agreed. I bought my first EV in 2013, and visited DRD, then in Downpatrick,and spoke of the many outstanding and frustrating issues, regarding , lack of adequate signage at CPs, lack of fines, woeful servicing records,repeated Iceing, etc. The gentleman took me aside and whispered”Tony, nothing’s going to change”. I eventually realised that he knew then then that after 3 years of dragging their feet the buck would be handed over to locals council’s, with a possible delay of a further 5 years, or more. I believe a major mistake Ecar NI made was to place all our eggs in the one basket of the Munich manufacturers of CPs, I’ve met their engineer several times and many technical issues remain with these 22kva CPs. After 5 years of trying very hard to support the whole EV projects, I fear that at the end of my second PCP period, I will forget the whole pityful project and hand the , now second Zoe back. New technology, same old people. Thank you.